Fountaine Pajot has been the dominant multihull company in the world for so long that it’s always interesting to see their latest model, knowing that some of its features will be picked up later by other cruising catamaran builders. 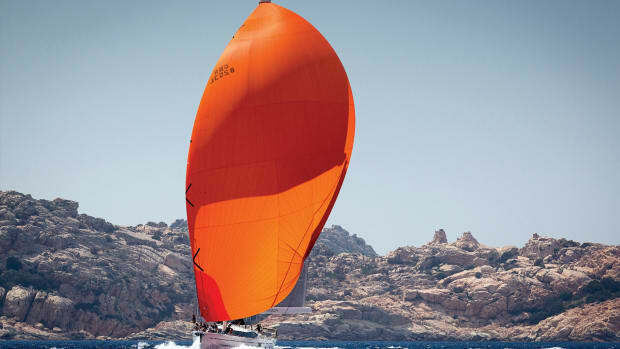 The new Ipanema 58 is a major revision of the successful Sanya 57 that impressed SAIL a couple of years ago, with the same hulls and rig, but with a new deck and interior.  One thing that has not changed is the fundamental Fountaine Pajot construction technique, and that’s a good thing. This builder has steadily refined its process for over 30 years, and it only changes things when there is a clear reason to do so. The hulls have a balsa core above the waterline and a solid glass layup below. All the major structures are vacuum infused, using vinylester resin in the hulls for blister resistance. Fountaine Pajot was an early adopter of these techniques, which have now become a standard among quality production boat builders. The company was also one of the first to install distributed electrical systems, in which large power wires go directly from the batteries to the lights and other utilities via a number of similar wireless switches controlled by a central computer. While some builders have had a few problems with distributed systems, including corrosion on the tiny batteries in the remote switches, it has generally been quite robust. It certainly makes diagnosing circuit difficulties easier, because there is much less wire to trace. As always with Fountaine Pajot, the plumbing and electrical installations are first class, and engine access is very good. Hardware is of excellent quality, and the interior joinery is light, simple and attractive. There’s enough deck space on the Ipanema 58 for a multitude to lounge, sunbathe or launch water toys. Good nonskid surfaces and well-placed grab rails make it easy and secure to move about. 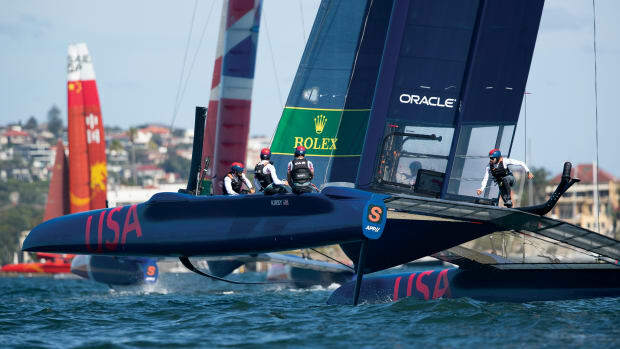 A partially netted foredeck reduces the weight forward. The huge flybridge is a remarkable structure that provides separate areas for those actively sailing the boat and those who prefer to sit and watch. In typical Fountaine Pajot style, all lines lead to a central area abaft the mast, where powered winches handle the heavy lifting, and large line bins store all the polyester spaghetti of halyards and sheets. The boom is high, so furling the mainsail at the end of the day calls for climbing a couple of steps up the mast. 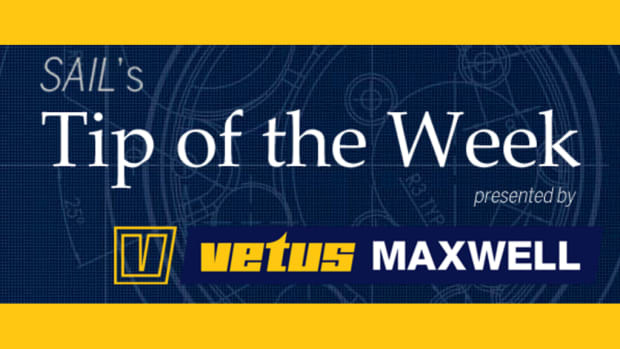 The mast carries a powerful square-top mainsail while the foretriangle can be rigged with a Code 0 jib to boost performance. When voyaging, the crew can also set a staysail. Our test boat was going into Caribbean charter where wind is abundant and simplicity is a virtue, so it carried only a roller-furling genoa. Note that the mast is very tall, so bridge clearances may restrict access to some places. The wheel is offset to starboard. A small Bimini top shades the helmsman from tropical sun while allowing a 360-degree view. 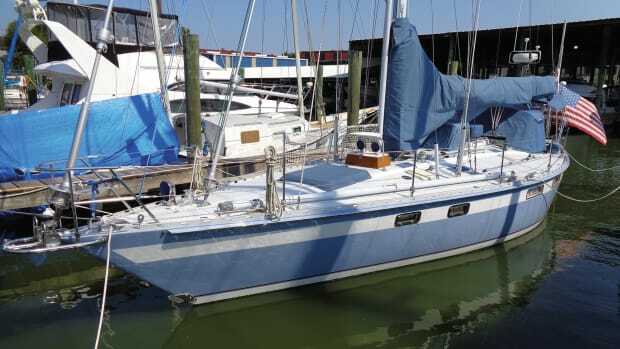 Our test boat was the six-cabin charter version, which provides a remarkable amount of privacy for each of the couples aboard as well as accommodations for the paid crew (presumably a captain and a combination chef-deckhand). It’s as close as you can get to a cruise ship in this LOA. The identical, spacious cabins all have private entrances; a freestanding double berth that is easy to get into; a private head with a separate shower compartment; and adequate stowage space for a week’s charter. The public spaces are vast. Sunbathing lounges are scattered about, both vertically and horizontally, interspersed by seating and dining/snacking/drinking areas. The saloon includes an apartment-size kitchen and a big lounge area, as well as a nav station with excellent views in all directions, and surfaces for electronics and charts. Dinner will be served aft under the flybridge overhang at a table that seats six comfortably. 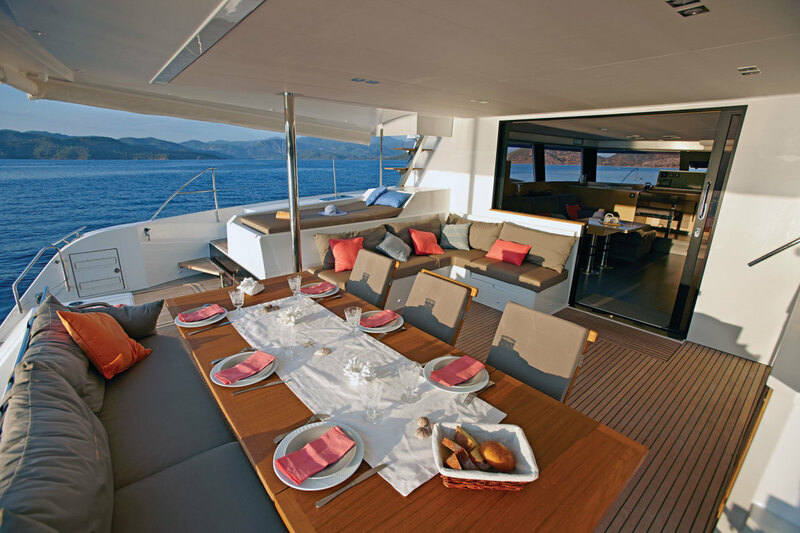 Sailing on fine days or chatting after dinner, however, guests will likely favor the flybridge, which even has its own sink and serving counter. Fountaine Pajot also offers a “Maestro” version, with larger owner’s accommodations and either three or four other private cabins. 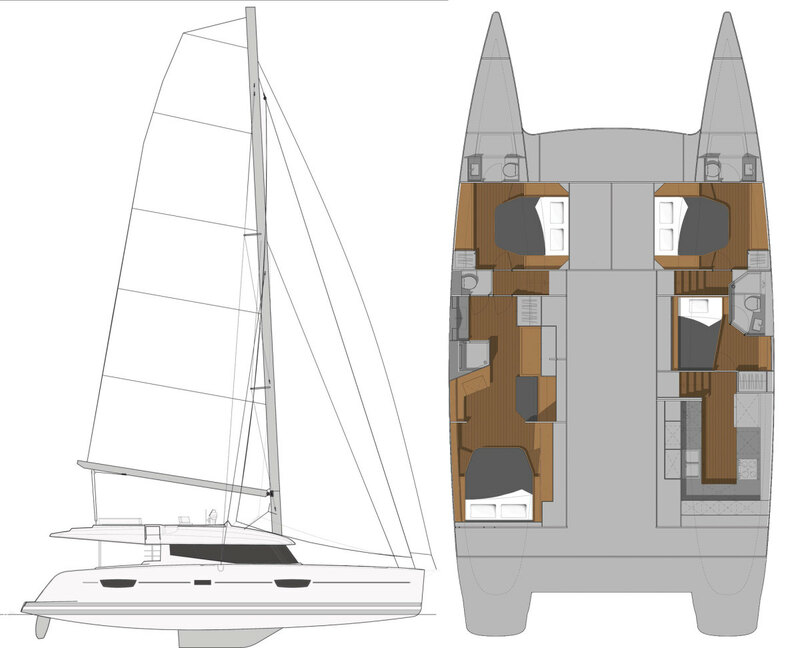 In this configuration, the galley can be located on the main deck or down in the starboard hull. 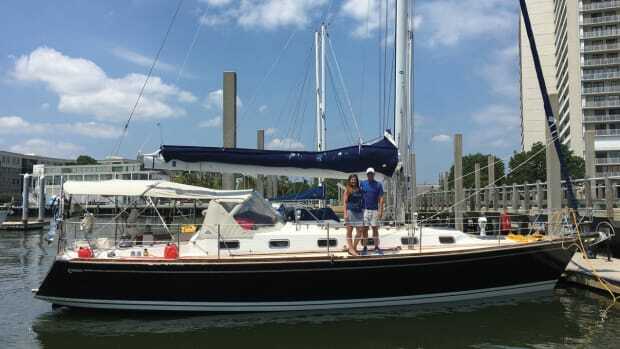 While the Ipanema 58 was impressive, the wind on the Chesapeake was disappointing. Still, in 6 to 7 knots of true wind speed we reached along at almost 5 knots as we dodged the ubiquitous crab pots. Later, the wind dropped to 5 knots, but the boat still made about 3 knots closehauled, at the same time tacking through less than 90 degrees: not bad for a big charter boat with only working sails, five people aboard, and fully loaded for a voyage south to the Caribbean that same day. The large nav station display in the saloon was visible from the aft deck without any difficulty, even in direct sunlight. The big main deck windows gave excellent visibility in all directions. The sight lines down from the wheel to the stern were blocked by the flybridge rim, so a crewmember will have to relay the boat position to the helmsman when docking. Whether crossing oceans, exploring the coast or loafing along through tropical islands, the Ipanema 58 should satisfy any cruising sailor with its performance. The Ipanema 58 is powered by twin 75hp Yanmars, and the boat spun around in about one boatlength with both engines running at fast idle—a nice performance. Turning and backing were completely predictable, with the Ipanema 58 backing straight and executing easy pirouettes in its own length with the props running in opposite directions. A 2,200 rpm throttle setting produced 7.75 knots of boatspeed and a virtual whisper of noise in the saloon. From the flybridge, the twin Yanmars were inaudible. 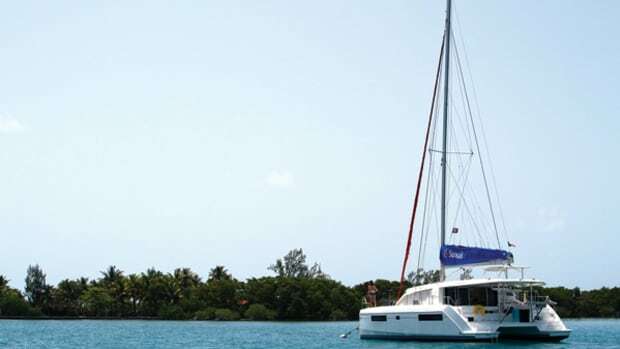 The Fountaine Pajot 58 is a big boat with big accommodations that easily rival those of a monohull 20ft longer. 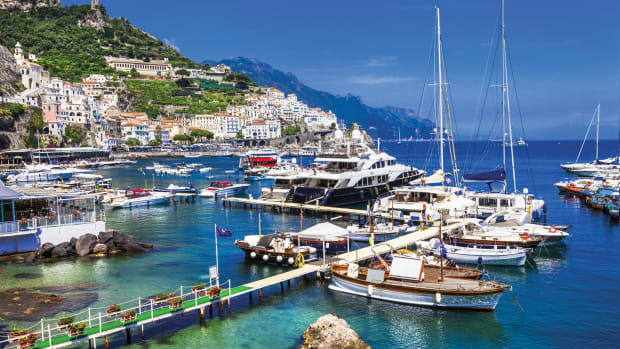 While this boat would make a luxurious vessel for an owner with crew to explore the waters of the world, many will probably go into charter, where the six-cabin layout excels. In either case, everybody aboard will enjoy the comfort and pleasure of sailing fast and level.